There were three formal netball competitions that are held every year in the nation's capital, Port Moresby. 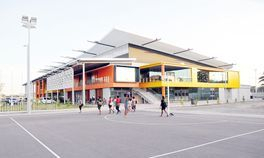 In 2016 the Mixed and Mens Netball Association formally started it's competitions in Port Moresby making it now four formal competitions operating in the city. 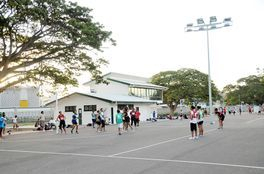 Each is operated under distinctly separate managements however it is only the Port Moresby Netball Association (POMNA) that is affiliated to Netball PNG (PNG Netball Federation). 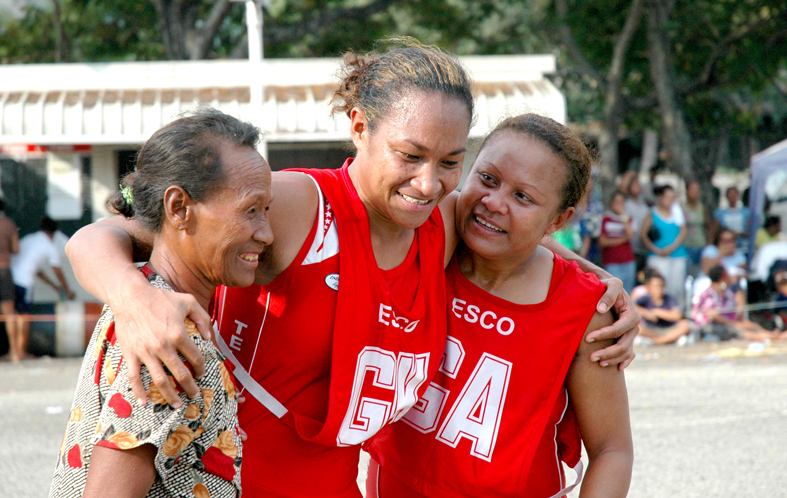 The other three are recognised by Netball PNG as formal social competitions. 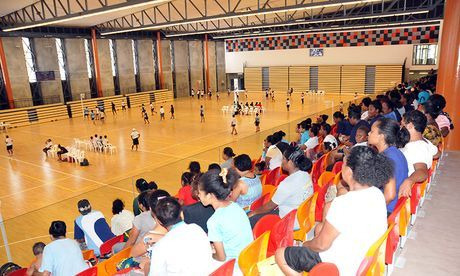 The Port Moresby Netball Association (POMNA) is the principle netball competition run each year under the auspices of the PNG netball Federation. POMNA has several open and junior divisions and together with sister associations around the country, is committed to the development of the sport in PNG. The other three competitions, the Private Companies Netball Competition, the Public Servants Netball Association and the Mixed & Mens Netball Association are social competitions, but run under international playing rules. There are certain attributes that clearly make them social or recreational in nature. These include features such as the length of play. The level of competency the various divisions play at can be quite high. Both are open age competitions. The PCNC which stands for Private Companies Netball Club and PSNA which stands for the Public Service Netball Association, are resourced as their titles suggest, one from the private sector and the other from the public sector. The PCNC holds its games on a Sunday from about midday onwards at the Bisini Courts and similarly the PSNA holds it's competition on the Saturday before, at the same facilities. Umpires are invited from within their own organisation or as is seen to be preferred, from the formal Port Moresby Netball Association. The Mixed & Mens Netball Association conducts its competition in the evening mid week at the indoor stadium. Rules governing the eligibility to play are written into the constitutions of both associations, suffice it to say, one must work for or have a direct relative (spouse, mother or father) working at a particular company/department at the time one participates. 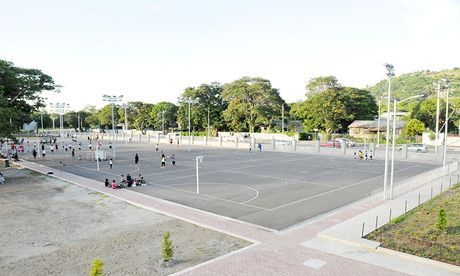 (Above and below) The new facilities at the Rita Flynn Netball Courts, Bisini Drive.